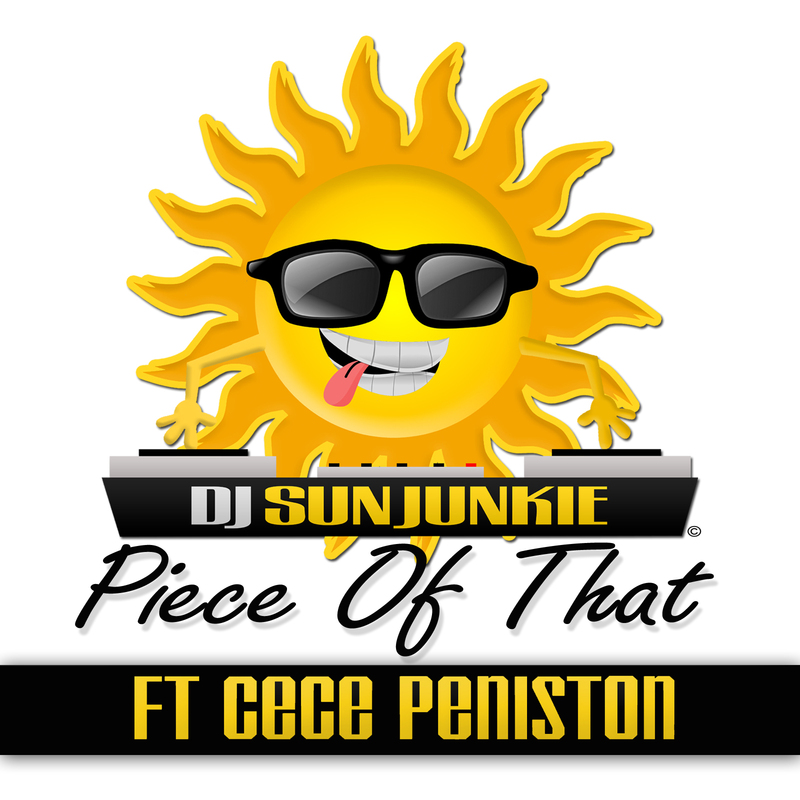 DJ Sun Junkie releases the first single "Piece Of That" off the "Dance, Love, Live" album featuring Billboard Music Award winner and top 10 Billboard chart topper Cece Peniston. DJ Sun Junkie releases the first single "Piece Of That" off the "Dance, Love, Live" album featuring Billboard Music Award winner and top 10 Billboard chart topper Cece Peniston and new artist Daiyon. “Piece Of That” is an uptempo feel good nightclub anthem that represents those mature women that want to socialize and enjoy life to the fullest. It’s drum and synth driven track will move lovers of any genre of music from House to Hip Hop and it’s content is edgy yet tasteful and profanity free. This is one of those songs that your grandma will infectiously be bobbing her head to and the whole family will appreciate. Program directors and DJ’s continue to give great feedback and we encourage adding “Piece Of That” to your playlist. Visit. http://www.djsunjunkie.com/ for updates on the release and for more info.